As a business grows, it faces new challenges. When international markets have demand for the company’s products or services this leads to the prospect of global expansion. This is a natural evolution, and it offers new great opportunities. The decision to go global should take into consideration not only the overall cost/benefit for a company but also preparing for a new level of legal and HR support and administration for staff, and time for start. 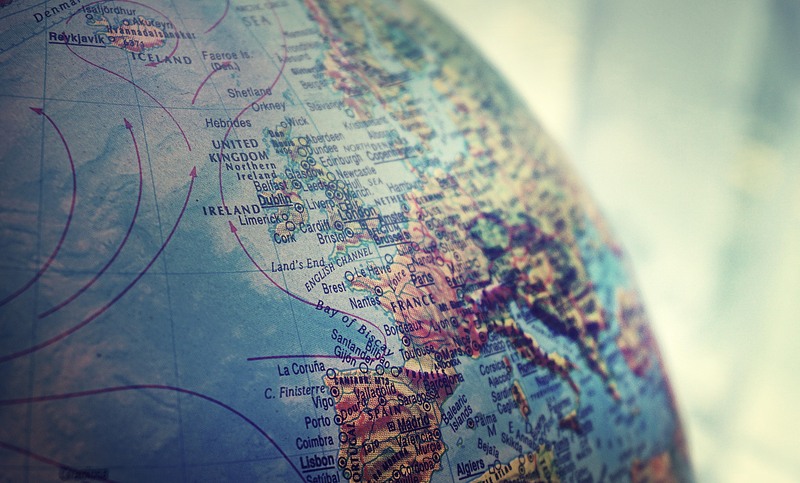 Establishing a foreign legal entity is most generally known way to go global. This is establishing new company that is legally registered to operate in a country outside of its original location. There is also another way to expand business globally – Global Employment Outsourcing, GEO. This is a global employment solution that allows companies to hire and pay employees anywhere in the world quickly, compliantly, and without the need of establishing a foreign legal entity. GEO solution is flexible due to clients’ specific employment scenarios. Company and GEO Company share employees’ relationships and responsibilities. Company has its usual relationships with employees: provides workplace and tools, directs and controls their work, maintains all day-to-day operations and can focus on running its business. 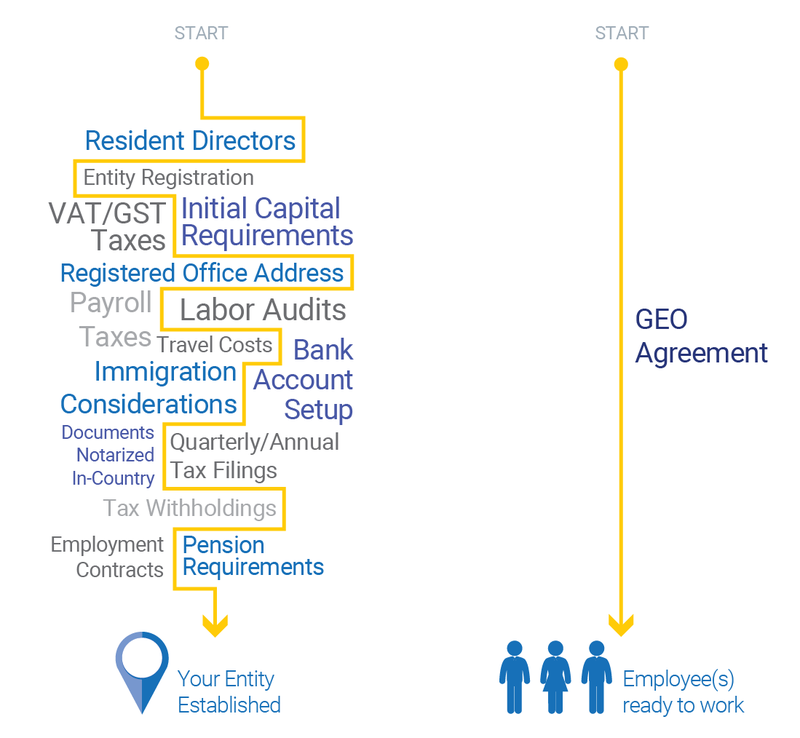 Such tasks as HR administration, payroll services, personnel evaluation, visa/work permit support, basic legal advice and support, tax compliance, accounting outsourcing are accomplished by GEO Company. It hires employees and becomes their legal Employer of Record. To establish an entity, you must deal with different local banking regulations, document requirements, employment contracts, find a local director, monitor compliance changes and so on. Maintaining ongoing corporate compliance will require a team of local accountants, lawyers, HR, and payroll specialists. 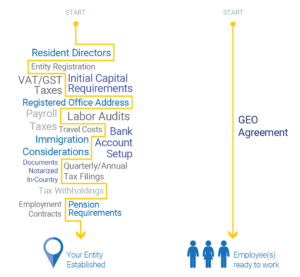 With GEO Solution you just sign a contract with Sperton and your employee(s) begin operating in-country. But What About Independent Contractors? Independent Contractors are not strictly under the control of the company, so there is less chance of establishing a ‘business presence’ through their activities. They have no rights or duties as a formal employee, and are required to fulfill the terms of the contract only. There is less control over the daily activities, so contract deliverables must be clearly specified. Compliance with local laws is accesible only if the Independent Contractor uses a management firm or local payroll provider. Rapid employment and deployment are unavailable for Independent Contractors as they usually are contracted for a finite time frame or work deliverable and have no continuity of service for other countries. This option is risky because every country’s tax authorities have their own definition of the employee relationship, and an Independent Conractor might be found to have employee status regardless of steps taken to create separation. If the IC is misclassified as employee, there are tax liabilities and payroll compliance requirements for employees, so the company could face paying unexpected tax and benefit amounts. Who Should Use GEO Solution? Establishing an entity is good solution for company that is confident to be on a certain market for more than 5 years with hiring 20+ employees in it, has possibility to delay hire time for several months, has enough time and budget for expansion. Sperton team is ready to answer your questions and support you in your worldwide growth.